Love will save the day if you can dream! Dreaming is not difficult in this amazing and dazzling inflatable. Brilliant digital printing brings the fairy tale to life right before your eyes. Disney magic is always the perfect ingredient in any little princess's affair! The Sponge Bob Clubhouse is complete with all your favorite characters from the popular show on Nickelodeon. The unit has an entrance step and perfect graphics to keep your kids entertained! 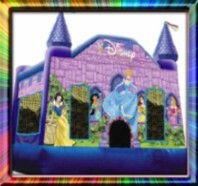 The Disney Princess Bounce is a cute unit with a step added for easy entrance and exit of the unit. 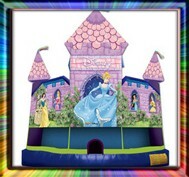 The bounce includes Snow White, Sleeping Beauty, Cinderella, Jasmine, and Belle. 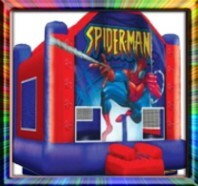 This popular superhero is ready for your Spiderman themed party. 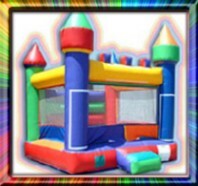 The bright red and blue colors are eye-catching and will quickly move a group of kids from inside the house to the "Bounce House". Subject to unit compatibility and availability. Who wouldn't want to be the King or Queen of this castle? This castle will make anyone feel special and occupy them for hours. It is one of the coolest castle designs we've seen. A cute bouncer that will bring that spring feeling to any party. 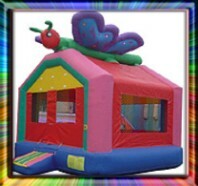 A larger than life butterfly watches the kids bounce inside. 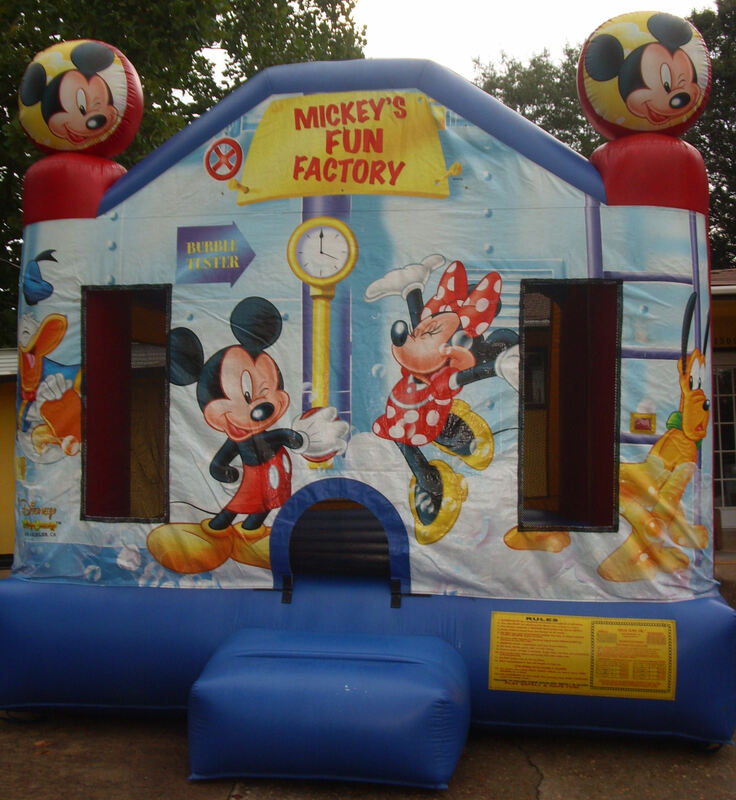 The Fun House is a perfect unit that fits boys or girls. 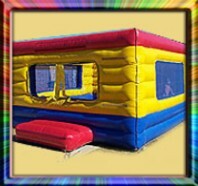 Rent this Fun House for your parties and look forward to some extreme bouncing fun. This is a great race car themed bouncer. 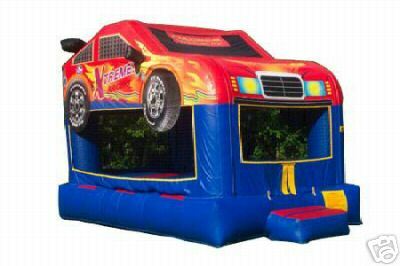 Perfect for the future "drivers" in your homes, this bouncer will surely tire them down so you can watch the race!!". 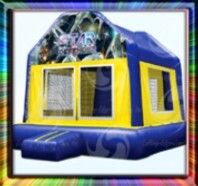 Let your child's imagination run wild with this "Star Defender" themed bouncer. 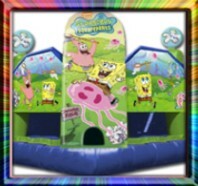 This bouncer will provide hours of bouncing fun for your child. This unit is for TODDLERS ONLY. This is a large unit for the smaller kids. It has a "Step Down" play area for added safety and security for the "Lil Roos"